Create P&ID with an easy and highly efficient tool. Here teaches you how to make a professional P&ID step by step - including how to get the P&ID symbols and how to start drawing. 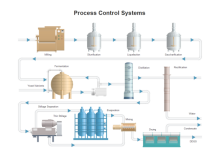 P&ID, short for piping and instrumentation diagram, is a process documentation using graphical symbols, such as the service lines, instruments and controls, valves, and equipment. It is often used to by engineers and technicians to better understand the process and how the instrumentations are connected. What does a P&ID Used For? It shows the inner relationship of how each instrument is connected. 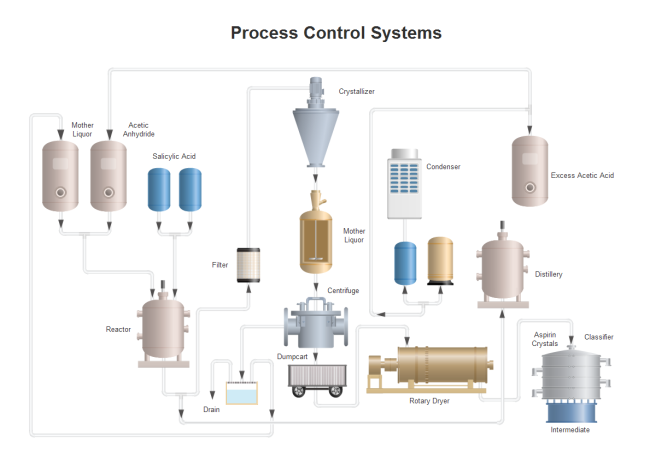 It shows the relative location of equipment, actuators, and instruments in a process. 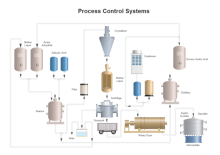 It depicts a conceptual outline of a plant and its control architecture. It provides a common language for documenting, discussing, and analyzing a plant. 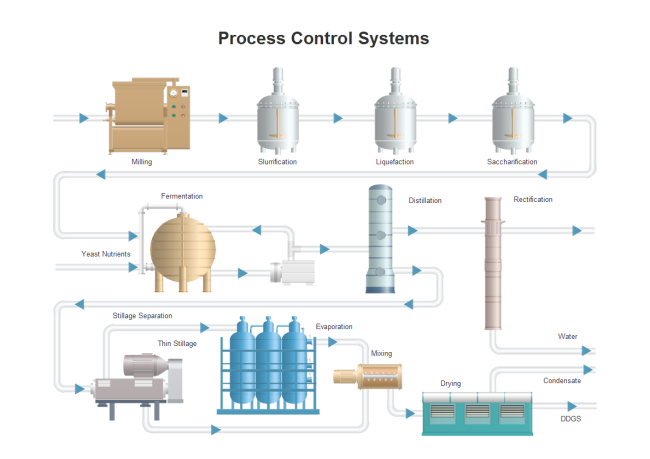 Start Edraw, from Available Templates, choose Industrial Automation. The templates window on the right will appear five P&ID drawing templates. Choose one based on your own purpose, and double click to open. From Available Templates, choose Engineering. 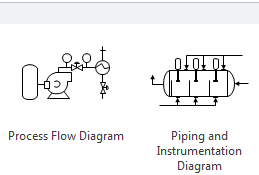 From the templates window on the right, choose Process Flow Diagram or Piping and Instrumentation Diagram. When a drawing page is open, the corresponding symbol library will also open automatically on the left of the canvas. 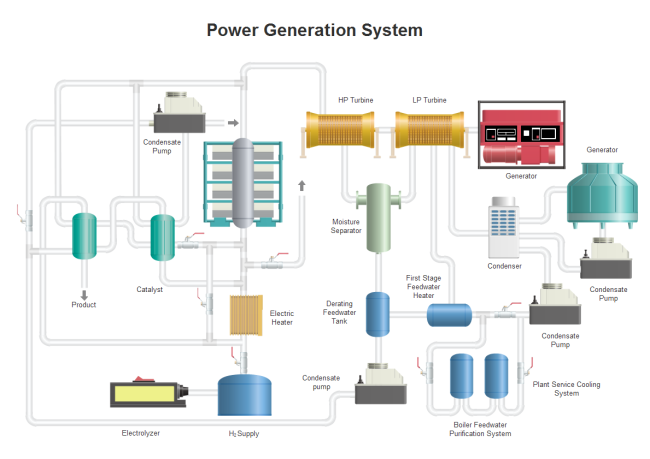 For example, if you open a Utility-Generation P&ID, you will see the libraries of ductwork, blowers, boilers, chemistry, containers, heaters, HVAC, logistics, machines, mixers, motors, powers, pumps and tanks. You can close the libraries you don't need; or open other P&ID libraries. Drag a symbol you need and place it on the canvas. All symbols are in vector format, which means you can change the colors freely or zoom in to a bigger size without any clarity loss. To add an annotation, go to Home tab, click Text button and drag a text box to type the description. From the Ductwork library, drag a ductwork symbol with the correct direction. Drag the yellow handle to lengthen the pipe. Use floating button to set the pipe radius. Drag a pipeline from the Connection Shape library. Position an endpoint with an equipment shape. Connection points (blue x) will appear on the equipment shape. You can connect with any connection point as you want. When the endpoint turns red, it means it's glued to the equipment shape. Note: Connection point can be created through Connection Point Tool under Home tab if you need. 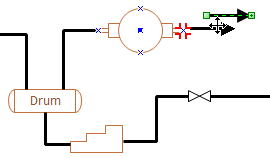 Drag the other endpoint to another equipment shape to connect two shapes. After it's done, you can right click on your mouse and choose "fit to drawing", which can make the page size perfectly fit your drawing. Since others may not have Edraw, you might need to export the document to other formats so that other people can open. Click File tab, and go to Export & Send. 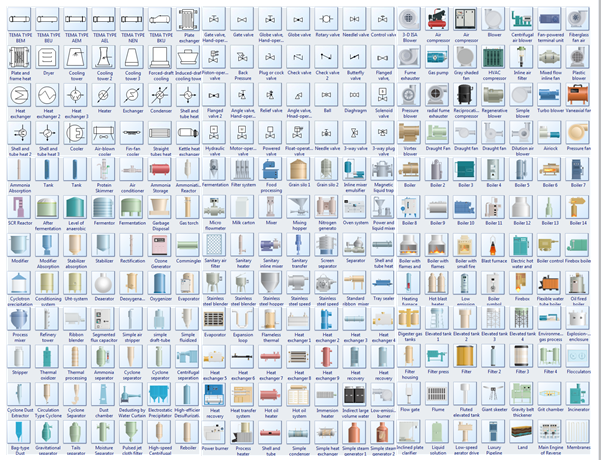 There are many formats available including PDF, Word, Html, Visio, PPT, BMP, EMF, PNG, JPG and much more. One of the features that makes Edraw an outstanding P&ID designer is its vast collection of symbols. This following picture shows only the tip of iceberg. The following examples will guide you to learn P&ID better. You can discover more P&ID examples in our P&ID sharing community.